Like Alexander the Great travelled east to conquer India, Andhra Pradesh chief minister Chandrababu Naidu crossed his northern border to win Telangana — or at least some Assembly seats there. Alexander made friends with Taxila ruler Ambhi to defeat King Porus. It worked. Naidu allied himself with the Congress to overthrow Telangana chief minister K Chandrasekhar Rao (KCR). It flopped. Even as the results of the Telangana Assembly election were pouring out, giving KCR’s Telangana Rashtra Samithi (TRS) a huge victory, he thanked Naidu for the “gift”. With tongue firmly in cheek, he meant that Naidu’s campaign in Telangana had miffed voters so much that they had voted for TRS en masse. That was KCR’s sarcasm at its usual best, and he didn’t stop at that. He said he would give Naidu a “return gift”. Before and after Telangana was formed by partitioning Andhra Pradesh in 2014, the two regions fought like India and Pakistan. And like India and Pakistan agreed not to interfere in each other’s affairs under the Tashkent agreement, Naidu and KCR had an unwritten understanding that each would stick to his own bailiwick. Somewhere along the line, however, this truce was breached, and Naidu’s foray into the Telangana elections appeared to have been the final straw. What followed was a cry of vengeance from a furious KCR. 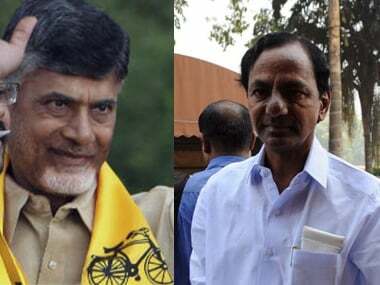 The tug-of-war between the two Telugu biddas (sons) has thus got a nasty eye-for-an-eye twist after the Assembly elections. As estranged spouses do, the two talk of how nice each had been to the other. Naidu says he had offered his hand of friendship to KCR without success. KCR says he had even been ready to contribute Rs 100 crore to the building of a new capital for Andhra Pradesh. KCR didn’t reveal how exactly he’ll give Naidu a taste of his own medicine. 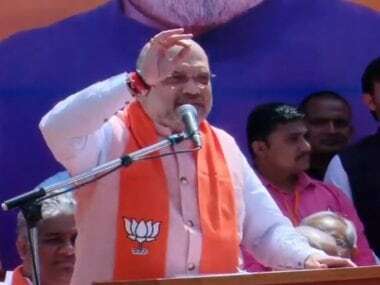 But it’s fairly clear he would team up with Naidu’s rivals in Andhra Pradesh to trounce him in the Assembly election to be held there along with the Lok Sabha poll a few months from now. The YSR Congress Party (YSRCP) of Jagan Mohan Reddy, the main challenger to Naidu’s Telugu Desam Party (TDP) in Andhra Pradesh, would be the obvious partner for KCR in this score-settling. It’s more than likely that KCR’s ally Asaduddin Owaisi, who heads All India Majlis-e-Ittehadul Muslimeen (AIMIM), would put up candidates in Andhra Pradesh’s Muslim-dominated constituencies. The “return gift” may even transcend electoral politics. To fix Naidu, KCR may also aggressively pursue the on-again, off-again cash-for-votes scam, in which the TDP leader is one of the accused. Registered in Telangana, the 2015 case relates to the allegation that Naidu tried to buy the vote of a nominated Telangana MLA for the TDP’s Legislative Council candidate. At some point, KCR had apparently gone soft on the case at the instance of some leaders of the BJP, whose ally Naidu was at the time. But besides speeding up the case now, the Telangana chief minister may browbeat the Modi government into stepping up an Enforcement Directorate investigation to trace the source of the alleged bribe money of Rs 5 crore in the scam. This could get messy for Naidu before elections. The two leaders are also competing over who unifies the Opposition better (or who has a better glue to stick parties together). Naidu is busy putting together a hotchpotch of parties with Congress and without BJP. What KCR wants is a “consortium” of parties without both BJP and Congress. On 1 November, Naidu met several Opposition leaders and finally Rahul Gandhi to “save democracy”. And on 10 December, a day before the Telangana results were out, Naidu gathered leaders of 21 parties who spoke of a vague “action plan” to take on Modi. KCR too has been schmoozing with some regional party leaders and is promising to throw a surprise soon. Both Naidu and KCR, however, don’t sound too credible when they talk of uniting parties. Neither has been consistent in his attitude towards—or alliance with—national parties before. When it suited their local ambitions, they flirted with and ditched Congress and BJP. Both TDP and TRS, along with Left, were part of the Third Front in 2009 to fight “the corrupt Congress and communal BJP”. And KCR had been ready to merge TRS into Congress if the latter agreed to make him the new state’s chief minister. Naidu always reels off laborious logic for whatever he does and whenever he makes a political U-turn without blinking an eye. So does KCR. The Telangana leader’s publicly pronounced equidistance with the two national parties must be taken with a spoonful of salt. It’s possible that, if KCR must make a choice between Congress and BJP in future for his own survival, he may pick the latter. The posturing by the two leaders depends entirely on the political algebra within their states. Congress is KCR’s main rival in Telangana. Though Congress has been nearly wiped out of Andhra Pradesh, it retains a small part of its traditional vote base there, and that’s what Naidu is eyeing. And in case of a hung Lok Sabha, regional parties could be kingmakers. As history has shown, kingmakers can end up as kings themselves. Naidu and KCR won’t be averse to the idea of shouldering the responsibility of steering the nation’s destiny by occupying the prime minister’s chair. If that happens, each has a son to fill the chief minster’s vacancy at home. What’s important for the two parties is that they must pick up as many Lok Sabha seats as they can. That’s precisely what each is trying to stop the other from doing. In 2014, the TDP won 15 of Andhra Pradesh’s 25 Lok Sabha seats, and TRS bagged 11 of 17 in Telangana. 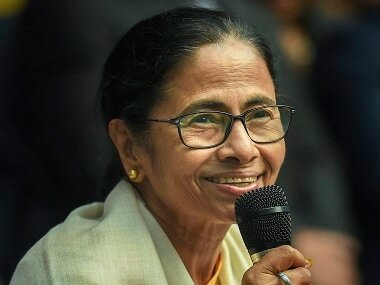 Now that the dust has settled over the Assembly election, the parties are losing no time to ensure their Lok Sabha tallies get better this time.